The ideal addition to your kitchen. One of the purest ways to brew your coffee. 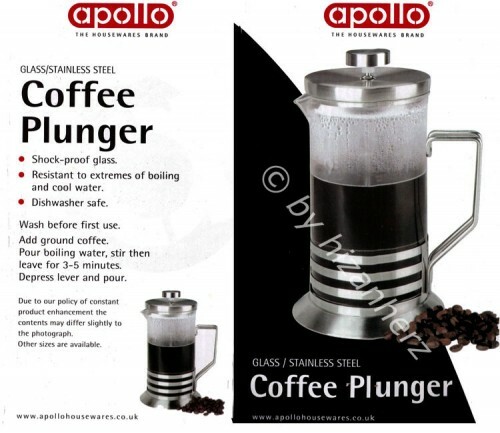 This Apollo cafetiere uses a fine mesh screen to press down on the course coffee grounds creating perfect coffees each and every time. Simple to use - Just add ground coffee, pour boiling water, stir, then leave 3-5 minutes and depress lever & pour.